SOMETIMES I think I’ve had enough of all these bleedin’ indie bands and the whole damn scene. I mean, how am I meant to feel good about myself when they’re making looking cool appear as easy as flicking on a switch, while I’m four beers in with a self-conscious sweat on my back that’s making me want to pack in this gig lark for good? 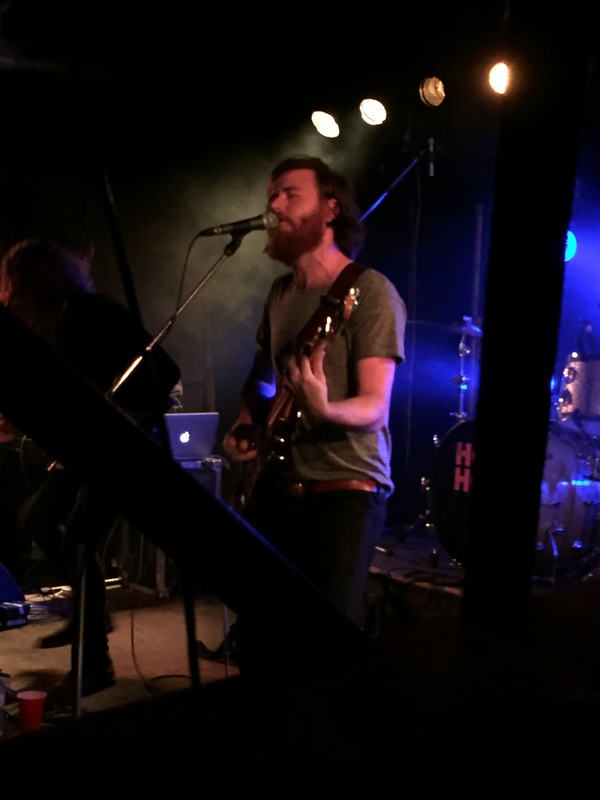 It’s probably a good idea, therefore, to be reminded of what a great guitar band can do and what an indie-rock gig can be from time to time. The warmth, the uplifting fervour, the sheer bloody majesty of it all. It’s good to be reminded of these things, and HOLY HOLY (augustly capitalised, if you please) seems the type of band capable of doing it. A sold-out Zoo is, as always, the prime venue for the occasion. Two support bands set the scene for tonight’s show. First up is Brisbane quintet Big Bad Echo, who will have won a plethora of new fans with this performance. Part The National, part Jesus and Mary Chain, part “huh?”, their dark and trippy jams are mesmerising and intense. Eyebrows were raised as a saxophone was produced at one point, but it was a move that only served to make their strangeness more daring, and as a result, endearing. Consider this reviewer converted. Fractures is Melburnian Mark Zito, who delivers a collection of dark and often melancholy songs from his debut, self-titled EP. ‘Unwind’ and new track ‘Noise’ sound particularly good and go over well with a swelling audience bursting with anticipation. And so, time for that aforementioned majesty. 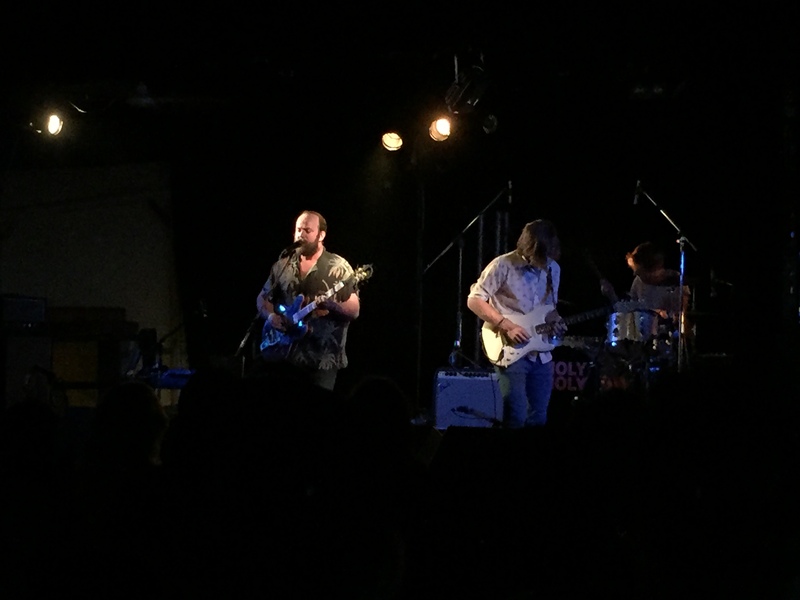 HOLY HOLY are a band on an upward trajectory that has recently seen them tour overseas, play Splendour in the Grass and release a well-received debut record. 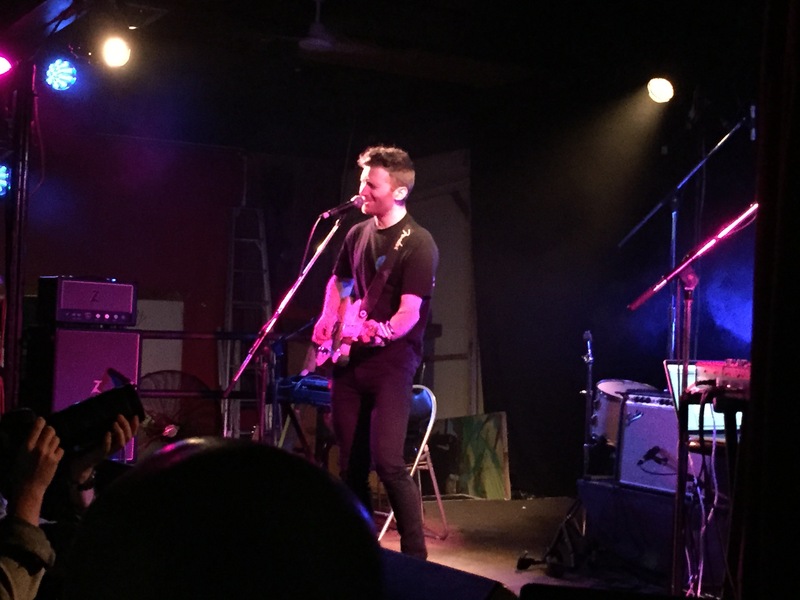 Singer/guitarist and songwriter Tim Carroll’s Brisbane roots make this particular show a little bit special for the band and audience, and the boys deliver in fine style (and yes, there was dancing). ‘History’ and ‘Sentimental and Monday’ are top tunes to start with, as Carroll’s controlled, masterful vocals compliment Oscar Dawson’s slick licks. ‘Wanderer’ quickly follows in what is a largely laidback and comfortable set so far, before a Terminator 2: Judgment Day theme cover pops the balloon of earnestness in unexpected and compelling fashion. ‘House of Cards’ and ‘A Heroine’ further cement the band’s skills as not only top songwriters but performers too, and as ‘Impossible Like You’ leads into the soaring ‘You Cannot Call For Love Like a Dog’, some sort of symbolic wall is kicked down and the mood in the room instantly feels elevated by several levels. It’s a song good enough to remind even the most weary gig goer of the joys that drew us in in the first place; all soaring dual guitars and singalong lines that demand facial contortions from everyone who wants to sing or air-guitar along. An encore of Neil Young’s ‘Southern Man’ rounds off what is a fantastic night of rock music, provided by an Australian band who have come of age in recent months. As I take the first steps along Ann Street towards the chaos of Brunswick Street Mall, I can’t helping feeling my faith in indie-rock is restored.